The envelope can be an important part of the message and can mean the difference between being read and thrown in the trash. It can be as simple as your logo or stand-alone message designed to entice readers to look inside. Qwik Print offers 24 hour envelope printing, from standard business size #10 to oversize 10×13″. 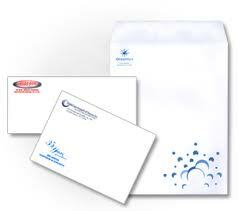 Envelopes are printed on heavier-weight stock for opacity and take colour well. Design requires minimum .25″ border from edges. Envelopes can be reprinted with addresses on home or office laser printers or inkjet printers.